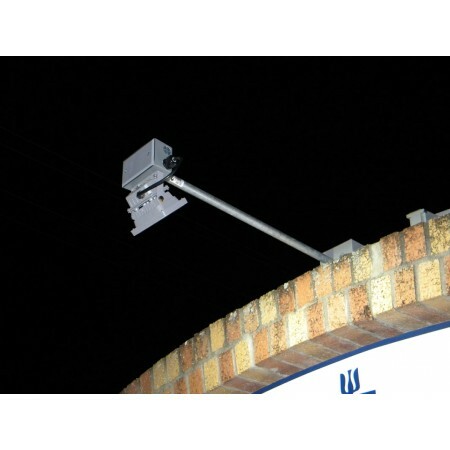 10 watt LED floodlight mounted on optional junction box and rigid pipe. 4' x 8' sign with 10 watt LED floodlight on each side. 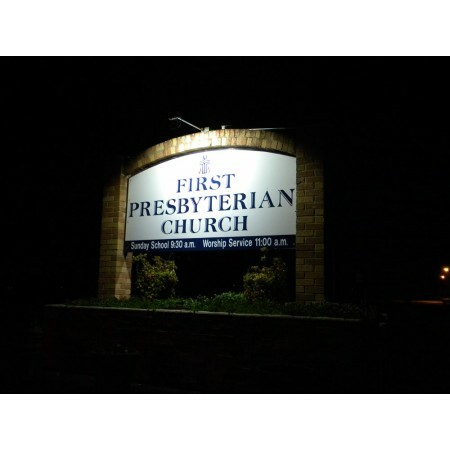 Designed to light up both sides of up to a 6' x 8' foot sign, or one side of up to a 6' x 16' sign, wall, entryway, or walkway using efficient LED fixtures. Advanced features of this system include resettable DC breakers (versus one-use fuses) which also act as disconnects for the solar array, battery and load. Also, this system is fully grounded when the included ground wire is attached to a proper earth ground. And, the enclosure is vented for cooling and any battery gases that might develop as a result of charging. NEW! This system now comes installed with a DC lighting/surge arrestor! System comes preassembled and prewired including a weatherproof, vented heavy duty aluminum enclosure. Hinged door with gasket and closure buckle with hole for small padlock. And, a 5 year warranty! Two weather-resistant wire strain reliefs allow wire entries for PV modules, ground and load wiring. Additional room for other small electronic equipment, like radios, repeaters, etc. 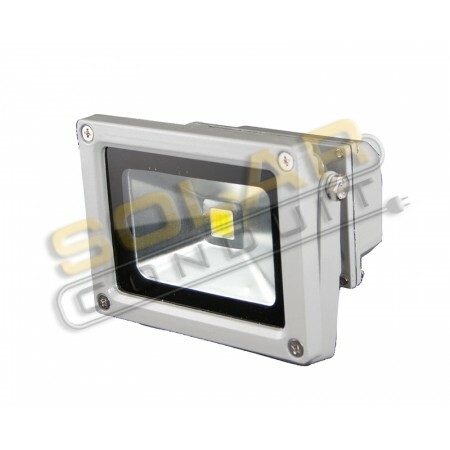 The (2) 10 watt, 12 volt DC LED flood lights are sealed for outdoor use, and provides more than enough light to light up both sides of a 4' x 8' sign, 6' x 16' wall, or remote area. Each fixture is equivalent to approximately a 75 watt incandescent or 70 watt HID bulb like mercury vapor or similar. Light color temperature is cool white (5500-6700K). Light fixtures have brackets for mounting on any flat surface or outdoor junction box. Includes a Night Watchman 12 volt DC dusk-to-dawn switch for automatic lighting operation. Automatically adjusts for seasonal daylight changes and time changes. Lighting runtime is 10-12 hours a day (based on assumptions of 4.5 hours/day sunlight, reserve for 2 cloudy days, and avg. winter temp. 50 degrees (Central Texas climate). 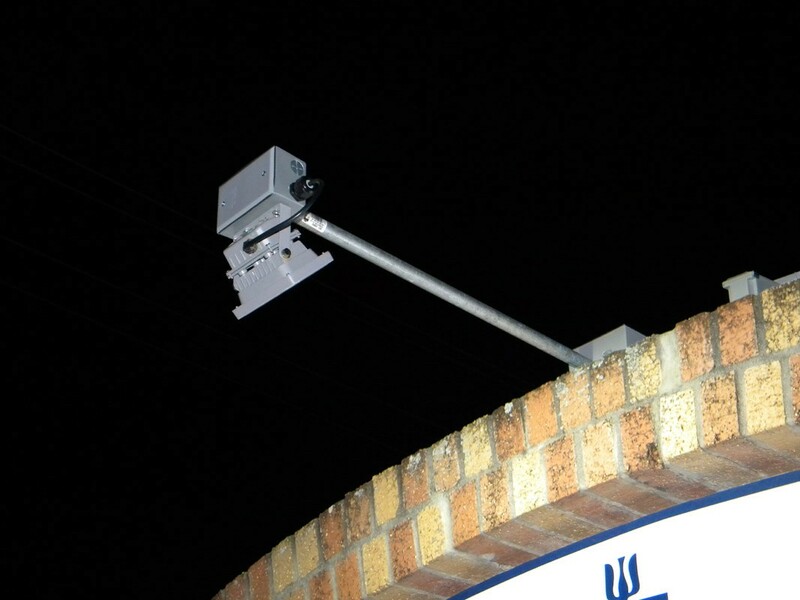 Note: Photos show optional mounting above sign, which is suggested to reduce risk of damage and vandalism. Junction boxes, rigid pipe and wiring are not included and can be purchased locally. Morningstar Prostar-15 amp charge controller allows for DC loads up to 15 amps (lighting, water pump, inverter, etc.) at 12 volts DC. This deluxe controller also has battery state-of-charge indicator lights, to provide immediate status of the battery. Charge controller will automatically disconnect the load if battery voltage drops too low, protecting the battery from over-discharge. Also, the system is fully protected from static electricity and power surges with DC breakers, provided the system is grounded to an earth ground with the included grounding wire. 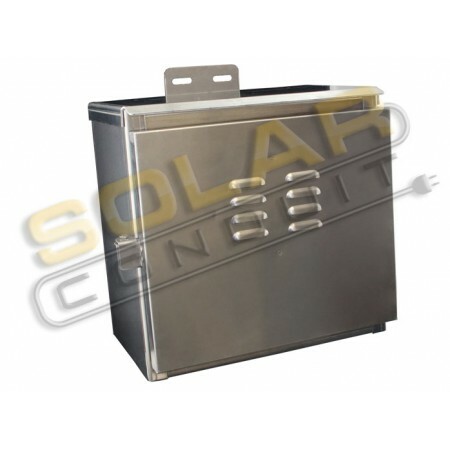 The DC breakers also allow disconnecting of the battery and load independently and eliminates the need to replace fuses. Enclosure is ready for pole mounting and includes 1 1/2" pipe clamps. Enclosure must be mounted vertically to prevent moisture from entering enclosure and damaging electronics. Contact us if you require a horizontally mountable or ground mount enclosure. System includes 25 ft. of #8 AWG bare copper ground wire for grounding equipment and (2) 50 ft. #10 UV protected PV cables (cut in half for connection to solar modules). Includes (2) 97 amphour maintenance-free sealed batteries. Includes (2) 85 watt PV modules with a 25 year power output warranty and (2) IronRidge pole/wall mounts. Free email and phone technical support during office hours. Other configurations available. Call us for a free load analysis and a custom system quote. 1 year warranty on system. Manufacturers warranties on individual components also apply. 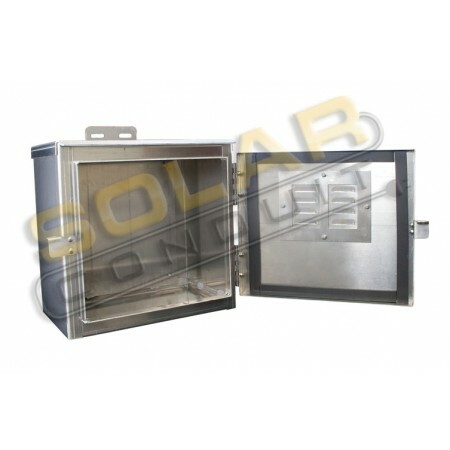 5 year manufacturer product warranty on enclosure. Due to combined weight of system, website may not calculate correctly. We will contact you if shipping is more than website charged. NOTE: Battery, solar module, and electronics enclosure may be shipped separately.